154 Hidden Court: Last year. 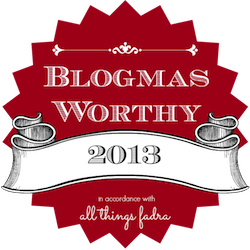 What were you blogging about a year ago today? What has changed? If you look over in my sidebar under my "Favorites" heading, you can see that this has been my most popular post. EVER. It's been pinned and re-pinned on Pinterest. 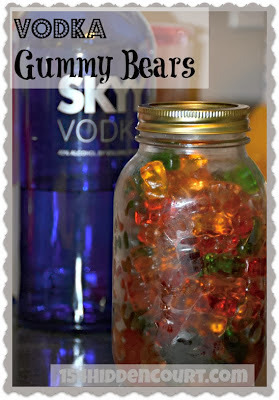 Google searches for "vodka gummy bears" bring all the boys to my yard. In other words, a quick tutorial about how to pour liquor over candy and give it away as a Christmas gift is - according to the internet - the best thing I've ever written. Last year for the entire month of December, I was busy posting holiday recipes and craft tutorials and all kinds of goodness and cheer. Did you see my tutorial for this adorable little tissue pack cover last year? Did you? Or this post about all the awesome ornaments we made last year? Or this super easy last minute stocking stuffer idea? This year, I haven't managed an entire holiday or Christmas themed post AT ALL, unless you count the one I wrote yesterday which was all about how I don't have any Christmas spirit this year. I keep waiting for some Christmas magic to appear and make my heart grow three sizes so I can resume my regularly scheduled life. Until then, though, you can find me right here. Being all Grinchy and stuff.